This news release contains forward-looking information that is based upon assumptions and is subject to risks and uncertainties as indicated in the cautionary note contained within this news release. 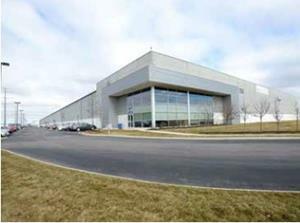 TORONTO, Oct. 11, 2018 — DREAM INDUSTRIAL REIT (DIR.UN-TSX) (“Dream Industrial REIT” or the “Trust”) today announced the acquisition of two properties located in Columbus, Ohio (“the Acquisition” or “the Acquired Properties”) and an unconditional purchase and sale agreement to acquire a property located in the Greater Montreal Area (the “GMA Property”). The Acquisition provides a foothold into the Columbus industrial market, and is expected to provide strong and stable cash flows. The Acquired Properties comprise approximately 721,000 square feet of gross leasable area (“GLA”) and are 100% leased to five tenants, all under triple net leases with annual contractual rent increases. The Acquired Properties have a weighted average lease term of 6.3 years. The Acquisition closed on September 6, 2018 and the total purchase price was approximately US$61.0 million ($78.1 million), representing a going in capitalization rate of approximately 6.6%. The purchase price and related transaction costs were funded with proceeds from the Trust’s June equity offering and its revolving credit facility. The Trust is in negotiations to obtain new long-term mortgage financing on the Acquisition. Well located in strong U.S. industrial market – Columbus is a strong secondary U.S. industrial market with a current market vacancy rate of 4.4% and total market size of 256 million square feet1. New construction is low, with approximately 4.2 million square feet of space under construction, representing approximately 1.7% of total supply. The Columbus industrial market is located within approximately 500 miles of approximately 50% of the U.S. and Canadian population, and serves as a major logistics hub. The Acquired Properties are located in the New Albany International Business Park which is situated in Columbus’ Northeast submarket, a strong submarket with vacancy of 0.8%. The area serves a diverse base of local, regional and national tenants and has seen strong corporate investment and a rapid expansion in workforce. The portfolio is located 19 miles northeast of downtown Columbus and is accessible through five adjacent interchanges. Additionally, the John Glenn Columbus Airport and Rickenbacker International Airport – one of the world’s only airports dedicated to cargo – are in close proximity. Further improves the Trust’s overall portfolio quality – Both highly functional Class A buildings were constructed in 2011, are LEED certified with 28′ and 32′ clear heights, ample loading and parking with flexible spaces that can accommodate a range of tenants. Expected to provide strong and stable cash flows – The Acquired Properties are 100% occupied by five tenants under triple net leases with a long weighted average lease term of 6.3 years. Purchase price of US$61 million ($78.1 million) represents an attractive going in capitalization rate of approximately 6.6% and a purchase price of approximately US$85 per square foot. The Trust has also entered an unconditional purchase and sale agreement to acquire a 121,000 square foot Class A distribution facility located in the Greater Montreal Area. 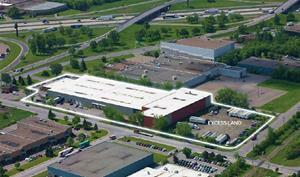 The GMA property is located in Saint-Laurent, Quebec, a key industrial sub-market with excellent access to the city’s primary transportation arteries (including the Trans-Canada Highway, Highway 13 and Highway 40), the Pierre-Elliot Trudeau International Airport and is situated across the highway from a future Light Rail Train Station. The asset is 100% leased to one of the country’s largest distributors of outdoor equipment and serves as both its headquarters and main distribution facility. Excess land provides potential for expansion of approximately 31,000 square feet to accommodate future growth for new tenants or the existing tenant. The property will be acquired for a purchase price of $13.6 million, representing a going in capitalization rate of approximately 6.1%. Closing is expected to be funded by working capital and the Trust’s revolving credit facility, is subject to customary closing conditions and is expected at the end of October. Dream Industrial REIT is an unincorporated, open-ended real estate investment trust. Dream Industrial REIT owns and operates a portfolio of 222 geographically diversified light industrial properties comprising approximately 20.1 million square feet of gross leasable area located primarily in key markets across Canada with a growing presence in the United States. Its objective is to build upon and grow its portfolio and to provide stable and sustainable cash distributions to its unitholders. 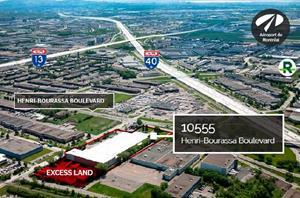 For more information, please visit www.dreamindustrialreit.ca. This press release may contain forward-looking information within the meaning of applicable securities legislation, including statements regarding our objectives and strategies, our plans to expand our presence in our existing markets, our expectations of cash flows from the Acquired Properties, and the anticipated timing of the closing of the acquisition of the GMA Property. Forward-looking information is based on a number of assumptions and is subject to a number of risks and uncertainties, many of which are beyond Dream Industrial REIT’s control, which could cause actual results to differ materially from those that are disclosed in or implied by such forward-looking information. These risks and uncertainties include, but are not limited to, general and local economic and business conditions; the financial condition of tenants; our ability to refinance maturing debt; leasing risks, including those associated with the ability to lease vacant space; and interest and currency rate fluctuations. Our objectives and forward-looking statements are based on certain assumptions, including that the general economy remains stable, interest rates remain stable, conditions within the real estate market remain consistent, competition for acquisitions remains consistent with the current climate and that the capital markets continue to provide ready access to equity and/or debt. All forward-looking information in this press release speaks as of the date of this press release. Dream Industrial REIT does not undertake to update any such forward-looking information whether as a result of new information, future events or otherwise except as required by law. Additional information about these assumptions and risks and uncertainties is contained in Dream Industrial REIT’s filings with securities regulators, including its latest annual information form and MD&A. 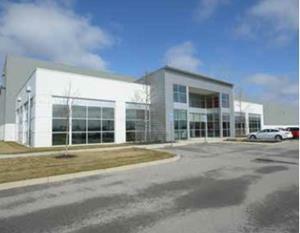 These filings are also available at Dream Industrial REIT’s website at www.dreamindustrialreit.ca.